A Chinese man has driven his pick-up truck more than 200 metres on two steel cables 20 metres high. 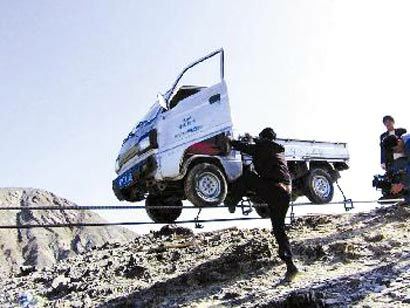 It took Liu Suozhu of Korla city, Xinjiang, 15 minutes to drive from one hill to another on the twin tightrope wires. “I just wanted to do something special,” he told the Tianshan Network. He’s not completely nuts…note the safety wires on the four corners of the truck. A Belgian man who stopped an old woman being crushed in train doors as she got onto a train was handed a £40 pound fine for causing a delay. The one who should have been fined, maybe even fired, is the conductor who started the train while the woman was boarding. How about a little rat hair with your peanut butter? A fly head with your macaroni and cheese? Though it may sound disgusting, these things and other gross filth the Food and Drug Administration (FDA) calls “natural contaminants” are indeed allowed and present in your food. 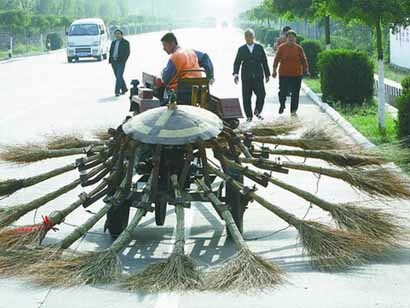 A Chinese city has introduced a new street-cleaning machine, composed of a tractor and more than a dozen bamboo brooms. The street cleaner, spotted by tourists in Qinghuangdao city, Hebei province, is a great source of amusement. “I couldn’t believe what I was seeing, but it was really cleaning the street”, said a passer-by. Harry Potter fan + traffic cone = Oops! To Charlie Thomas, it must have seemed like a wizard idea. Spotting a discarded traffic cone, the imaginative three-year-old immediately saw its potential as an impromptu Harry Potter outfit. But after placing it carefully on his head to show his family, the magic soon disappeared. 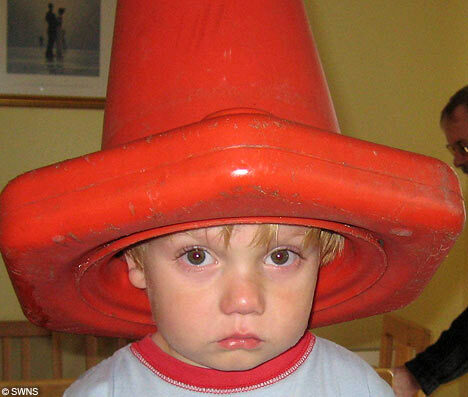 The plastic cone became firmly stuck and despite the best efforts of the toddler’s parents, it refused to budge. Perhaps a Potter-style cry of ‘Expelliarmus!’ might have helped. But in the end they had to call the fire brigade – and it took a crew of six half an hour to release Charlie using cutting tools and pliers. October 23, 2007 Posted by oldstersview | People	| Comments Off on Harry Potter fan + traffic cone = Oops! A herd of 40 Indian elephants which quaffed rice wine, “went berserk” as a result and rampaged round a village looking for food, suffered six fatalities after toppling an electricity pole, the West Australian reports. Holy cow! 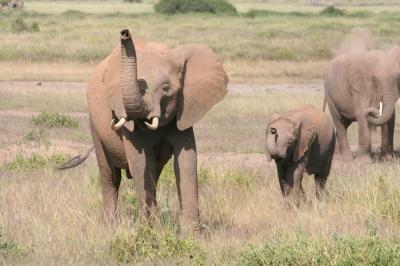 Imagine 40 drunken elephants dashing and thrashing around your neighborhood. Scary! Not all dumb crooks are in the U.S.
An Australian “lawyer” is part of a gang of six up before Southwark Crown Court accused of attempting to convince the Bank of England to honour a breathtaking £28bn…in moody £1,000 and £500,000 notes, AFP reports. The cunning plan centred on an “avalanche” of fake £1k bills and 360 so-called “special issue” £500k denominations. The former were withdrawn from circulation in 1943, with just 63 examples unaccounted for, while the latter never existed. October 23, 2007 Posted by oldstersview | Dumb Crook	| Comments Off on Not all dumb crooks are in the U.S. Wait a minute…in favor of the customer?? More than a third South Florida’s gas station pumps have failed the state’s accuracy test in the past three years. An analysis of state inspections reveals that slightly more than half of the broken pumps err in favor of the consumer. The state inspects all pumps every 12-18 months. 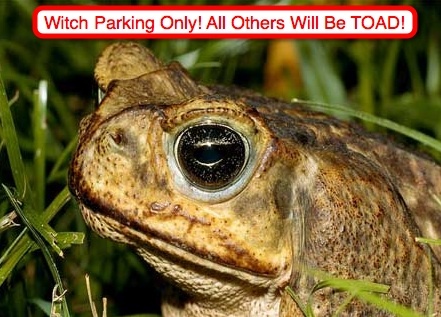 October 22, 2007 Posted by oldstersview | retail	| Comments Off on Wait a minute…in favor of the customer?? A jewelry company in China has made a bra out of more than 2,500 diamonds. Priced at 10 million yuan (approx $1,400,000) and named Perfect, it was demonstrated by a model at the Yibai Department Store in Jinhua city, Zhejiang province. The maker, Royal Décor Jewellery, says the piece used natural diamonds weighing more than 100 carats. The diamonds are set in 300 grams of white gold. Thieves in Seminole County, Florida devised a cunning, mastermind plot to steal a front end loader from a nearby construction site and use it to break into a Seminole County bank and rob ATM’s located inside. 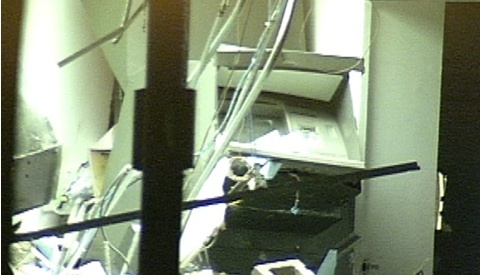 Unfortunately they neglected one teensy detail … the tons of debris that fell on the ATM’s. Score: ATM’s one, crooks zero. A pair of jeans has been recreated using over 3000 drinks cans. The five-metre pair of pants has been built outside a shopping centre in China. Minghui Plaza in Xiamen city is offering shoppers the chance to guess how many cans were used to build the display. As a prize the winner will receive 365 cans of coke, reports Southeastern Express. German police had to rescue a driver after he moved out of the way to allow a police car with flashing lights to pass, and got stuck in setting concrete. Hans-Peter Wagner, 62, was driving on the A1 motorway near Ratekau in Northern Germany when he saw police flashing to get past him in his rear view mirror. He instantly made way and pulled over but went straight into a stretch of road that had just been freshly concreted. His car was later pulled out of the concrete by traffic cops. Have elephants been looking at you strangely? Elephants can sniff out human friends from foe, suggests a new study which shows the big mammals can recognise the smells and clothing of different ethnic groups. African bush elephants (Loxodonta africana) in Kenya’s Amboseli National Park flee from the scents and colours of clothing worn by Masai warriors, but are not bothered nearly as much by the scent or sight of garments worn by local farmers. The findings may be the best evidence yet that animals apart from humans can differentiate groups of individuals within other species. October 18, 2007 Posted by oldstersview | animals	| Comments Off on Have elephants been looking at you strangely? An animal lover was so fed up with looking for her tortoises she has fitted them with a tracker device. Jane Williams, who runs a tortoise sanctuary from her home in Colchester, uses a handheld scanner to hunt down her 60 animals, reports the East Anglian Daily Times. The tracker device is attached to their shells with a removable sticky pad.